Made with quality tough pvc material and high tensile polyester reinforcement, high pressure pvc gas hose is able to work under high air pressure. 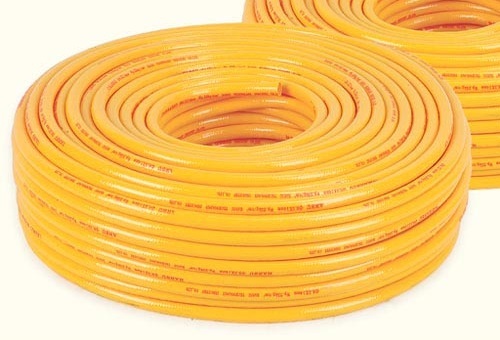 The hose is light, flexible, durable, anti-erosion and anti-explosion. This kind of pvc hoses can be used for conveying milk, beverage, liquids etc if we make it as food grade. Color Red, blue, black, yellow or customized. Working Temprature -5 to 65 celsius degree. Application Manufacturing industry of pneumatic tools, pneumatic washing apparatus, air compressors, engine components and construction machinery, etc. As a manufacturer of pvc hoses in China, we make high quality hose for machinery pressed gas transfering. The material is A Grade. 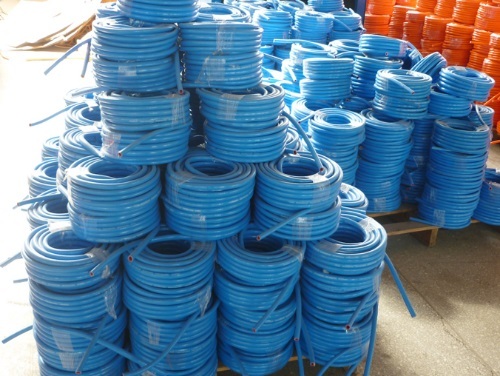 Our factory also make pvc garden hose, layflat discharge hose and so on. We have more than 10 years manufacturing and exporting experience in this product. The flexible vinyl hoses from our company are flexible and durable. There is no toxic chemicals used and the tube is odorless. Ani-erosion is a must. Highly recommended to use in high pressure conditions. Main market is USA, Europe, Asia, India, Middle East and Latin America. There has been good feedback on the product quality. Our price is competitive and offer one stop solutions for customers need in flexible hoses made of polyvinyl chloride. 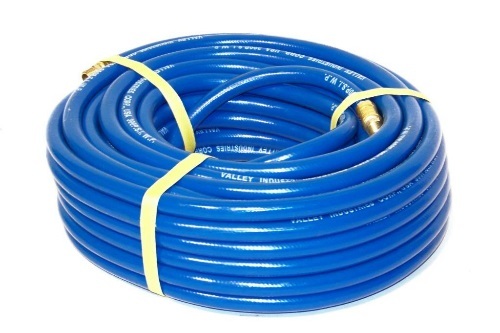 This product is a type of vinyl flexible hoses.